In the true spirit of international fellowship, the members of the Rotary Club of Somerville in East Auckland are set to observe Diwali on Saturday, 7, 2017. The fun-filled evening, with food and entertainment, will begin at 630 pm at the Bucklands & Eastern Beach War Memorial Hall, located at 48, The Parade, Bucklands Beach. As well as Bollywood dances and a fashion show, The EastEnders will mark the Festival of Lights with a mix of the traditional and the modern, bringing together people of varied ethnicities including Club members and their guests. Rotary Club of Somerville has a small percentage of Hindus but Diwali has crossed borders of religion to become a social event to promote harmony and gaiety. 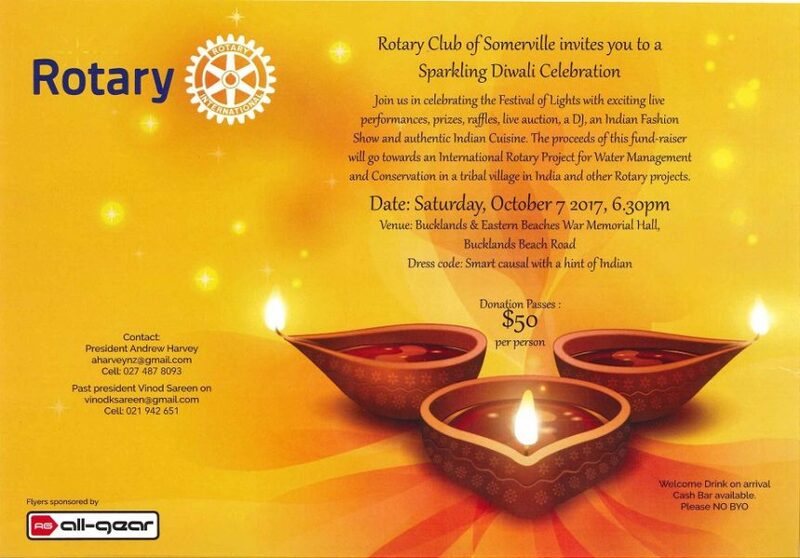 Entry to the Somerville Diwali is $50 per person, including a welcome drink, food and entertainment, with a cash bar at the venue. All Rotary Clubs around the world function as responsible community organisations, raising funds to support the needy. Their projects and programmes are aimed at lifting the lot of the people in underdeveloped areas and help bring essential services and facilities for everyday use. Immediate Past President Vinod Sareen said that the Rotary Club of Somerville is currently engaged, among others, in the construction of watersheds and organisation of effective water management in the Nanawade Village and its four hamlets located in a remote, low socioeconomic tribal area of rural Maharashtra. “This area faces acute water shortage, aggravating the environmental issues caused by deforestation and barren land. Declining farming opportunities and a lack of livelihood have worsened the poverty and hardships of the villagers,” he said. The Project received an impetus when Rotary Club of Poona President Rajesh Gupta met Mr Sareen and Past Rotary District Governor Dr Philly Karani (now an Auckland resident) during his visit to New Zealand in May 2017 and requested them to consider implementing the Project. The two clubs raised funds, with a matching grant by Rotary Foundation, taking the total amount to US$ 50,000, Mr Karani said. Among the other international projects with which Rotary Club of Somerville is involved include (a) Gift of Mobility- providing Polio Corrective Surgery, appliances and hand-operated tricycles for Polio victims (b) Assistance in providing vocational training and residential hostel facilities to orphans and under-privileged children and (c) funding a Diagnostic Ophthalmology Mobile Eye Clinic – a project for assisting rural and underprivileged communities. The Club also sponsors an Interact Club at Elim Christian College, undertakes tree plantation at Mangemangeroa Reserve (near Howick), distributes Emergency Response Kits to victims of natural disasters in Pacific Island countries and assists the elderly at Old Age Homes. Mr Karani said that there are more than 36,000 Rotary Clubs spread across 220 countries and that the first Club in New Zealand was established in Dunedin in 1921. Auckland alone today accounts for 50 Rotary Clubs, he said. 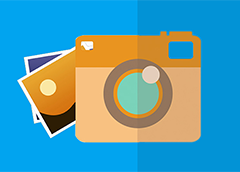 Rotary Club of Somerville meets every Wednesday at the Howick Club at 615 pm. Further details of the Diwali Programme on October 7, 2017 can be obtained from Vinod Sareen on 021-616615 or Andrew Harvey on 027-4878093.